We will get in touch with you at the earliest. Live at Supertech Micasa and experience a high-end living in style! Supertech Limited introduces Micasa, a new age residential development that strikes a timeless balance between latest trends and traditions. You will surely adore the beautiful location, architecture and the settings of this beautiful property. The development has derived its name from the Spanish world ‘Mi Casa’ which means ‘My home is my home’ and in English this saying match the sentiments which means ‘Feel yourself at home’. 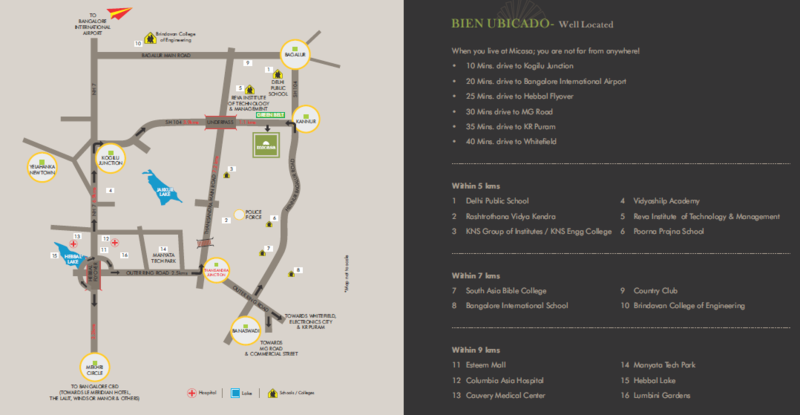 With such intentions, Supertech has launched the Supertech Micasa project located at Thanisandra Road, Bangalore. It is an ultimate project where each home is beautifully designed to offer you the best cosmopolitan lifestyle and an experience that is truly wonderful. Each home offer spacious balconies, proper ventilation, enhanced sunlight and sumptuous features. Consisting of 2 and 3 BHK apartments, the project is beautiful designed with expansive greenery and pedestrian paths. The area of apartments varies from 1100 sq. ft. to 1735 sq. ft. and offering a luxurious space to experience a happy and comfortable living. The development is based on Spanish architecture and the culture of Spaniards brilliantly with large bay windows. Contemporary designs and the beautiful landscaped gardens in the complex give all the new meaning to luxury and redefine comfortable living. This marvelous development is well-planned and designed as per the specific requirements of the modern generation. Supertech Micasa Bangalore is a wonderful property where you will enjoy life at the fullest. The interiors are done with stylish fixtures and smart furnishings to give you a classy feel. The development is expected to be ready for possession by the end of 2018. The development combines a wide range of key features and lifestyle amenities that will let you experience a comfortable yet luxurious life. The development is specimen of fine-living and offers grand facilities to elevate your living standard. There is an outdoor gathering deck at the development with the accent plants and the planter box. The sitting area is also provided in the gardens where you can have fun and chit-chat with your friends. Pool tables are also available here in the complex to spend your leisure time while enjoying with family and friends. Apart from this, there is a jogging track to jog along with the separate sports arena where you can involve yourself in multiple sports activities. Kids’ play area, swimming pool, gymnasium, Wi-Fi connectivity, security, multipurpose hall and other facilities are also planned cleverly in this property. 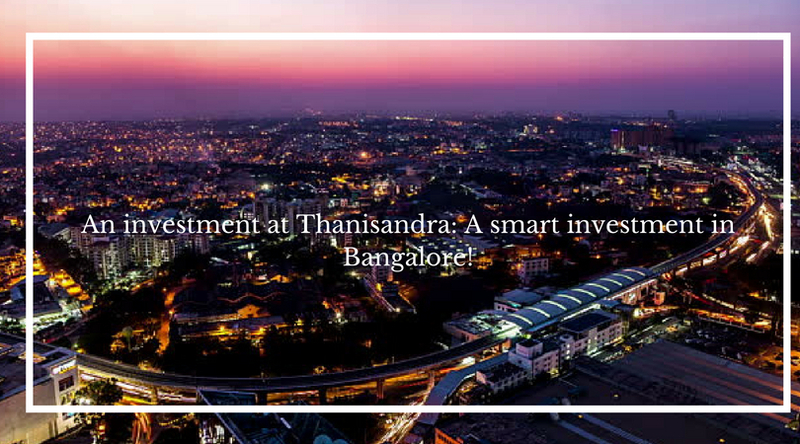 Supertech Micasa Thanisandra, located at a prime spot near Hebbal in Bangalore, the project ensures easy accessibility from all the main locations in the city and making the project high on the wish list of buyers. Thanisandra main road is the arterial road of the locality and offers fast and easy commutation. There are a number of shopping avenues, convenience stores, eateries, and recreational centers located near the complex and making the lives of residents happier and comfortable. This residential project is the best investment option in Bangalore that will offer good future returns. Apart from this, the civilized area of the city is overflowing with the amenities like medical facilities, banks, ATMs etc. that you can access quickly in no time. Supertech Micasa Price varies from Rs. 60.33 lakhs to Rs. 95.16 lakhs which is totally worth for the features and facilities it has. Multiple payment options are also available to make purchase of buyers easier. Supertech Limited: leading real estate developers in India! 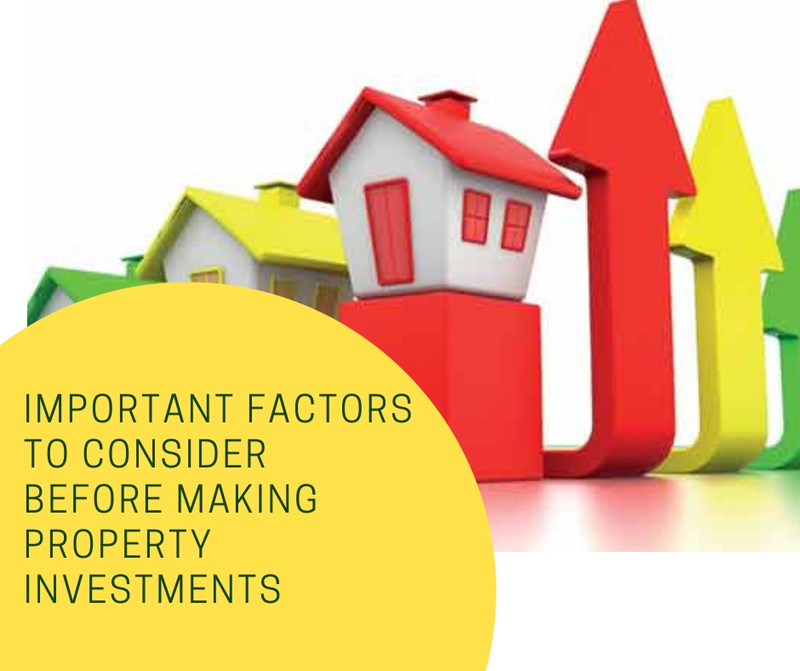 Supertech Limited is one of the trusted names in the real estate scenario of India. The group was founded in the year 1988 under the leadership of R. K. Arora. The group since then has come a long way in terms of real estate developments making every venture an unforgettable piece of the city skyline. The group has a significant presence in North in places like Uttrakhand, Uttar Pradesh and Haryana and also down South and is presently constructing a project in Bengaluru.The company operates in various sectors like residential, townships, commercial, retail, office spaces and hospitality. With its promise to provide unsurpassed services to the clients, Supertech Limited is on the path to continue leading the real estate industry in India. Located at Thanisandra Main Road, Bangalore.